The New York Times recently asked, “Is Music the Key to Success?” Numerous top professionals who had studied music connected it to their achievements. Many felt music had opened pathways to creativity and taught them how to collaborate and appreciate others’ points of view at the same time as it had enhanced their lives with discipline, balance, and joy. Other studies show that school age children exposed to music education scored 22% higher in English and 20% higher in math on standardized tests (Christopher Johnson, Professor of Music Education and Music Therapy, University of Kansas, 2007). to provide music education and professional-quality performance opportunities that develop self-esteem, depth of character and advanced music skills. “Give My Regards to Broadway,” a combined choir, year-end concert held at the Dolores Winningstad Theatre. Play an important part in their continued success by donating before year’s end. In addition to the tax benefit, think of the difference you can make in the life of a child! 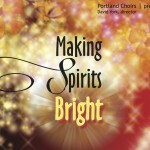 Donate via the link to the right, through our website (portlandchoirs.org), or by mailing a check to PO Box 6844, Portland, OR 97228. On the website is a schedule of events as well. p.s. Thank you in advance for helping Portland Choirs continue to make music education a reality. 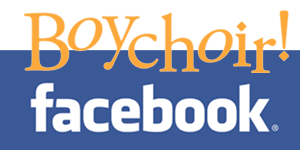 featuring Ovation Show Choir & Portland Boychoir, including the Advanced Boychoir ringing handbells. Saturday 12/14 – 6:00 pm, New Thought CSL, 1040 C Ave, Lake Oswego 97034. Tickets at the door. $15 general admission for adults. $20 for BOTH concerts. Children free. Lot & street parking are free. 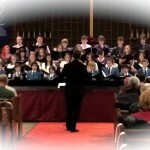 www.portlandchoirs.org.